“Because of your friends?” asked my daughter. “Because of your family?” suggested my friend. That morning Laurie, Helen and I had attended a ‘yoga-by-donation’ class in a great bright naturally lit space above the Green Bean on Elm St. It is a vinyasa class that was a challenge to each of us. Jennifer, the instructor took special care to note our differences and abilities and to make sure she could offer variations to suit each of us. I, of course, am still healing from a territorial dispute with some pissed off yellow jackets. Lovely Helen is a little tight and the postures are still new to her. Laurie has done yoga on and off for years though it’s been more off than on of late. 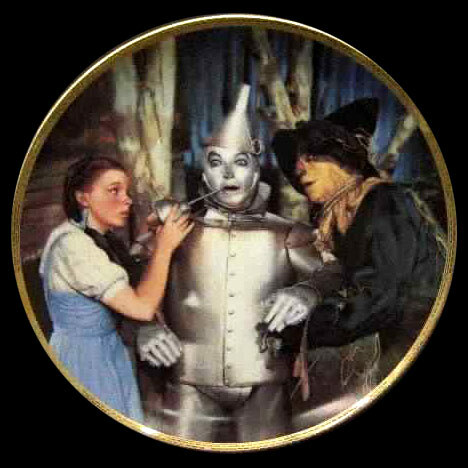 We each could benefit from the Tin Man’s magic oil. We were put through the paces–supported cobra, full cobra, all warrior poses, triangles, cat-cow, downward dog (for me puppy dog). Jennifer reintroduced me to postures I hadn’t done in a long time, that I had really enjoyed but forgotten about like threading the needle and the tree. Afterward I asked Helen how she felt. As we crossed the street Laurie said she had worked up a sweat. Helen said her posture had to be corrected. “I was sweating. Were you Helen?” I asked. Not wanting to part company just yet we headed for one of our favorite eateries–Fishbones on Walker and Elam. Blackened tuna tacos. Grits and shrimp. Black Bean Burritos. Helen was satisfied with a cheese quesadilla and french fries. Laurie asked for a fish burrito to order. Me? I like their sides. Wasabi Slaw. Garlic Ciabatta Bread. Black Beans. I asked if instead of green beans I could get blackened asparagus–no problem. And sauteed garlic spinach. This place is killer. Laurie and I have known each other almost all of Helen’s life. We have found this great comfort zone in our relationship. While we have both changed over the last 15 years, Helen’s growth has been monumental. She was a toddler who talked in polysyllables. She was an artist of natural materials in the Andy Goldworthy school at seven. She was a little pitcher with big ears, than a reader then a writer and now a thoughtful speaker. She has gone from climbing in my lap to walking by my side. She is respectful. She is loving. She even contributes ideas for the older ladies to explore. Last Saturday privilege was redefined. I am the most fortunate woman in this world.